The following essay was published in “Voices of Hope” – a newsletter from the Society of Helpers – as as part of their recent series on vocations. I am grateful to share it with you here. There was a time when my “attraction radar” was on high alert at all times – beginning with Sunday morning mass, to my Monday morning commute on the train, then the Tuesday volleyball league, Wednesday night bible study, Thursday after work happy hour, and Saturday afternoon run along the lake. I constantly found myself on the lookout for a potential suitor, and if the same handsome man were to appear at two or more of these locations, then it was a sure sign that we were meant to be together! I took notice of many people along the way, always trying to read the signs of a potential romantic interest. Years later, as I embarked on the journey that would take me from an aspiring consulting career into a life of ministry, I made a very conscious decision to put dating on hold. At first this was a very practical decision which I hoped would give me more time to focus on my studies. In reality, the actual number of dates was few and far between. What I really needed was permission to give the radar screen a rest! Unbeknownst to me, that one decision would have significant consequences for my life and my future. Suddenly free from the pressure I had put on myself become someone’s other half, I began to take notice of the love that already surrounded me. I rediscovered my own love of prayer, scripture, and spirituality. As clients and coworkers learned of my decision to pursue a career in the church, they offered stories of their own faith experiences. (Many of whom I had worked with for years without ever broaching the taboo subject of religion.) The friendships I made in graduate school quickly moved beyond the superficial facts of life, and we easily exchanged stories of the not-so-straight paths that brought us to divinity school. As for romantic relationships, my interest quickly waned in favor of more interesting, meaningful, and intimate conversations with friends, classmates, and prayer group. What I suspected would be a temporary decision, evolved into a more permanent way of being. I never intended to spend my years as intentionally single, but the call to single life found me ready and waiting with an open heart. As I allowed myself to dive into this new reality, I discovered a deep fulfillment and joy in this way of life. I recognized the truth of the gospel where it says, “It was not you who chose me, but I who chose you – and appointed you to go and bear fruit that will remain.” (John 15:16) I began to see how God delights in me as a single woman, and God continues to bless and fulfill my “yes” in response to that call. God calls each one of us to a particular vocation. And that same gospel passage continues, “This I command you: Love one another.” (John 15:17) God chooses each one of us to fulfill some unmet need for love in the world. Each vocation brings with it a different expression of love. The more I embraced singlehood, the more I recognized the many facets of love in my life. Love is expressed in generous hospitality, through the intimacy of prayer, and in compassion for those who struggle. I experience love within friendship, among my students, with my family, and for my goddaughter. Something else changed when I embraced the single life as a vocation and not merely an extended layover on the way to some more exciting destination. Instead of keeping an eye toward external markers of beauty, I notice people’s hearts. I pay attention to sadness and joy. I recognize confusion and grief. I watch for gratitude and despair. I’m curious about people’s feelings, and I’m far less concerned about whether or not they are noticing me. Last semester, at the suggestion of a mutual friend, I invited a handsome young missionary to speak to our students. At the end of the evening, one of the girls pulled me aside, “Wow! Did you SEE him? !” Her excitement suggested something we both noticed – his deep blue eyes, dark hair, and other attractive physical features. Sure, I saw all of those things. (Although, an earlier version of the single me would have spent much more time obsessing over this.) Instead, I found myself intrigued by his stories of mission, wrapped up in our conversation about ministry, and inspired by the compassion with which he spoke about his work with the poor. Grateful for our brief encounter, I was free to bid him farewell, certain that God’s grace was at work in our conversation. What I desired was not a deeper relationship with this one person, but when our time together was complete, I found myself more encouraged in my own relationship with God. When we live out our true vocation, our capacity for love exponentially increases. New parents say, “I never realized I could love one little person so much!” Even in the midst of tragedy, a couple may reflect, “I never imagined I could love my spouse more than on our wedding day, and here we are 10, 15, 20 years later.” The same is true for those in religious life and the single life. We discover countless ways to share our hearts with others, and we are stretched into sacrificial service for those we love. As we seek to discover our true vocation in life or to grow in deeper commitment within our chosen vocation, I invite you to pay attention to your love. Who are you in love with? To whom or toward what is your love being directed? How expansive is your love? And how expensive is your love? Love is so much more than warm feelings or heartfelt expressions. While love may delight in beauty, it does not desire to possess or control it. True love multiplies itself – the more we give, the more there is. Love may cost us something, but it leaves us (and those who receive it) free to live more fully as God intends. Ultimately, a vocation based in authentic unconditional love draws our hearts closer to God, who is the very source of love itself. 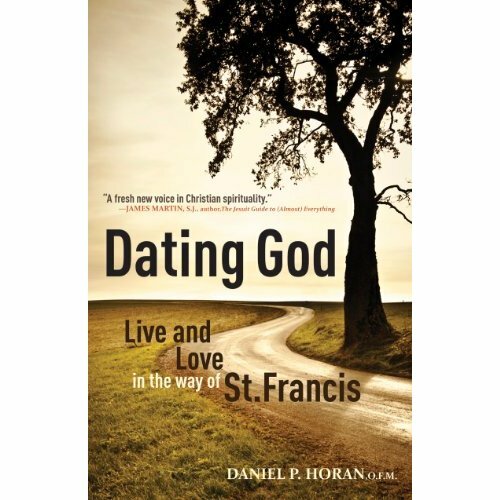 This week I had the distinct pleasure of meeting Dan Horan, O.F.M., author of Dating God: Live and Love in the Way of St. Francis and creator of the popular blog by the same title DatingGod.org. I have a great fondness for the Franciscans! My grade school and high school are still operated by the Franciscan Sisters of Christian Charity of Manitowoc, Wisconsin. My alma mater Briar Cliff University is run by the Sisters of St. Francis of Dubuque, Iowa where I forged relationships with women religious who I still consider my earliest mentors and where I made great friends in the classroom, campus ministry office, and through community service events. Likewise, some of my favorite professors at Catholic Theological Union were connected to the Franciscans. My first foray into the publishing world was through Franciscan Media, and I am incredibly grateful for the support of many talented people there. Dating God is the perfect primer on Franciscan spirituality. Even as someone immersed in Franciscan environments from a young age, there was still plenty to discover! It also affirmed how much I had absorbed without ever realizing it. 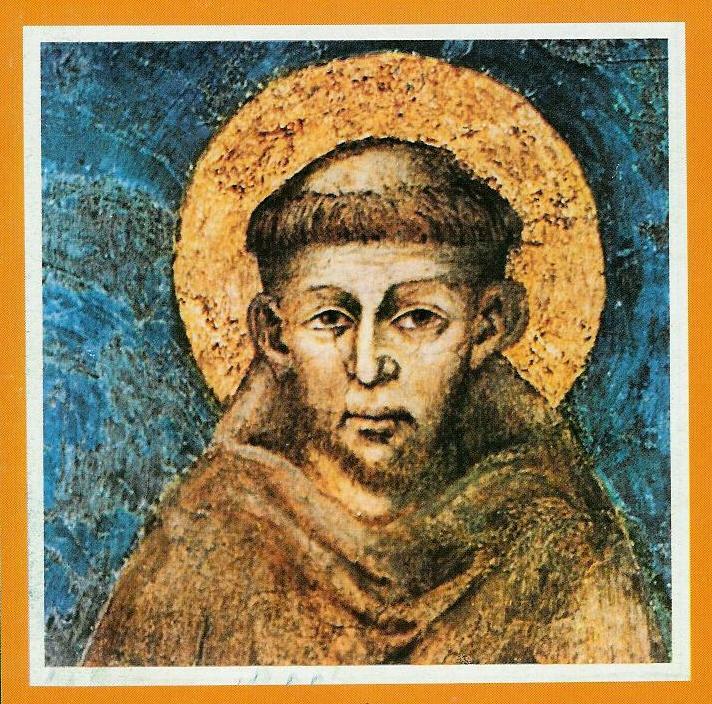 If I am completely honest (even a bit embarrassed to say), I primarily associated Franciscan spirituality with the love and care for God’s creation and the blessing of animals that typically accompanies the feast of St. Francis. True Franciscan spirituality, however, extends far beyond the affection we feel for our pets or a chance encounter with God while watching a summer sunset. As the title “Dating God” suggests, Franciscan spirituality is deeply relational. God strongly desires to be in relationship with all that God has created. Once we become engaged in this loving relationship with the one who formed us into being, then other elements of the Franciscan charism begin to take shape. This includes ones dedication to community, a deep reverence for the Word of God, contemplative prayer, and acts of charity and works of justice on behalf of the poor. The image of dating, which comes with a gentle warning from Dan to not over extend the metaphor, is used to describe the journey of encountering God, coming to know ourselves, falling in love, and a lifetime of commitment responding to God’s call. It is a relationship that is best nourished when we intentionally spend time together, take time to truly listen to one another, seek forgiveness, and draw close to one another in prayer. Dan describes the nuances of the God-to-human dynamic, relating it in much the same way that our human relationships take shape. As I look back, I see the how the Franciscan sisters and priests of my youth nurtured my education, instructed me in the ways of service, and modeled the importance of community – and this Franciscan charism of living and loving in relationship with God and neighbor all makes so much sense now! In my conversation with Dan this week, he admitted that his natural inclination leans toward more scholarly writing. I think even the occasional visitor to his website would agree! Already, the Dating God blog has become a forum for hot topics and news worthy events of the day. He openly encourages healthy dialogue and welcomes charitable commentary whether people agree with him or not. Dan Horan is sure to be an important voice in our Church in the years to come. The attraction, however, of Dating God (the book) is that it contains all the essential qualities of a great spiritual memoir. He approaches his writing with honest self-reflection and a willingness to let readers into his own struggles and doubts. He incorporates the writings of great thinkers like Francis, Clare, Bonaventure, Merton, Scotus and others who have influenced his life’s direction. He writes with the freshness of a 20-something still immersed in graduate studies, at a time when vocational identity and career path is still taking shape. His reflections are rich with self-discovery as he seeks to make meaning out of his life experiences and time spent in prayer. He beautifully weaves together age-old wisdom with contemporary references to Facebook, Wii, and Star Wars. As he sorts out his own relationship with God, Dan draws readers into greater reflection on their own spiritual journey. Each chapter is tied together with a bullet pointed summary and questions for personal reflection. 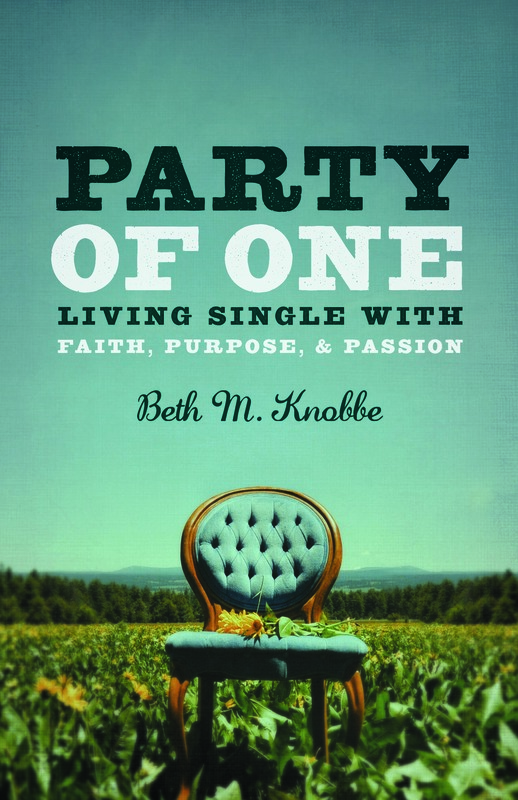 No matter where you are on the relational journey – single, searching, seriously dating, married, divorced, widowed, ordained, or religiously professed – this is a great book for anyone who hopes to be more deeply engaged in their relationship with God. As a testament to Dan’s Franciscan charism of living in loving relationship with others, my Catholic world became even smaller after our meeting. Dan and I were surprised to discover that we have several friends and acquaintances in common. I suppose one could attribute this to the small-world quality of the Catholic church, especially when it is merged with the even-smaller world of Catholic publishing. At its best, I believe it is a testament to the way Dan forms and forges relationships with everyone he meets. Which, as I am learning, is a very Franciscan thing to do! Today I came across this great article from Christine Whelan over at BustedHalo.com that I thought was worth sharing. I also get this question quite often, “Can being single be a Vocation?” It’s a tough one to answer! For many of us “vocation” sounds so permanent, and not everyone who is single wants to be single forever. Our vocation is the place to which God calls us. Not all unmarried people are called to the single life. Many people find themselves open to the possibility of marriage or religious life and remain single while waiting for their true vocation to unfold. But there are others who find that single life becomes their vocation, when they recognize that God is using their single lives as a source of joy, fulfillment, and love for others. It is essential that all of us listen for that call from God, and live our lives with a vocation mindset. Our vocation invites us to respond to God’s call with a sense of purpose, an intention of commitment, and a desire to love others. Who are you purposefully in love with and what are you intentionally committed to? And how does being married or single fit into that picture? Perhaps we should also ask, “how am I serving God and loving others at every stage of life?” whether I am single, dating, married, ordained, vowed religious, separated, divorced, celibate, widowed, or dying. Ultimately, our vocation is to love God with our whole lives and throughout our entire life. You may also want to check out this great article from The Michigan Catholic or this description of the single life from the Diocese of Green Bay. Can being single be your vocation?